The 2008 Jaguar XJ has fallen off the radar in the United States. Sales have dropped so precipitously that it should be no problem to find a good deal on an XJ, particularly on the short-wheelbase models. Jaguar's touch-screen navigation system is among the best in the industry; it even has a soothing British voice to guide you to your destination. The 2008 Jaguar XJ has a rich interior, good fuel economy, and a light touch, but its dowdy exterior is a major letdown. TheCarConnection.com's editors read the latest reviews on the new 2008 Jaguar XJ to write this comprehensive review. 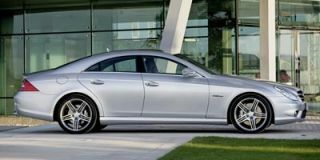 Our car experts also drove the 2008 Jaguar XJ to be able to deliver our definitive opinion on the car, to compare it with other cars in the class, and to help you make the perfect decision. The 2008 Jaguar XJ returns for its fourth year on the market, with an aluminum chassis, V-8 engines, and a broad range of models priced from about $63,000 to nearly $94,000. The standard XJ8 comes powered by a 300-horsepower, 4.2-liter V-8 engine working through a smooth-shifting ZF six-speed automatic. Performance for this version is just quick enough for a luxury car, but with fuel economy of 16/25 mpg, a good figure in this class. 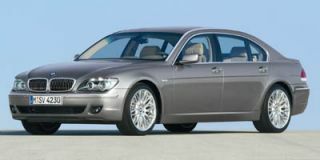 A long-wheelbase L edition gets more legroom for the backseat without a big penalty in weight and none in fuel economy. The Vanden Plas takes the long-wheelbase edition and adds as standard front park control, folding rear picnic trays, lambswool rugs, and a 320-watt Alpine premium sound system with AM/FM radio, single in-dash CD player, and six-disc trunk-mounted CD changer, as well as DVD-based navigation. Two supercharged cars, with more breathtaking performance, are offered. The XKR's 4.2-liter V-8 makes 400 horsepower, and like the standard car, it's coupled to a smooth-shifting six-speed automatic. Nineteen-inch wheels are standard (with 20-inch wheels available optionally) as well as Adaptive Cruise Control and R-specific interior and exterior trim. Atop the range is the Super V8, which marries the Vanden Plas trim with the supercharged V-8. It adds a standard rear DVD entertainment system for a price of about $94,000. Fuel economy on the supercharged cars dips to 15/22 mpg. Since its launch in the current body style, the Jaguar XJ has done the unthinkable: It's made the technology under the Jaguar skin more important than the skin itself. The XJ looks dowdy from some angles, and the new nose on the front of 2008 models doesn't improve matters at all. The single detail that improves the XJ's looks is the fender vent in metallic trim. It's the major changes to its underbody that made the XJ a revelation for Jaguar. While the shape remained largely the same as previous XJs, the new car's aluminum construction dropped its weight while strengthening its chassis, which in turn firmed up its handling. The Jaguar XJ is still among the softer luxury sedans, but it doesn't wallow or roll very much--and its steering is wonderfully light compared to the hefty feel of the big BMWs. A self-leveling suspension is standard on the XJ, as are 18-inch wheels, while 19-inchers are available. Inside there's plenty of room, particularly on the long-wheelbase models. The cockpit is comfortably lined with wood, leather, and metallic trim. And unlike in past Jaguars, the features are state of the art; there's a great sound system, a navigation system, and Bluetooth connectivity. For safety, the 2008 Jaguar XJ sports front, side, and curtain airbags; stability and traction control; and anti-lock brakes. Jaguar's quality ratings are among the highest in the auto industry. No federal crash testing has been done on the new XJ. A restyling for the 2008 Jaguar XJ has marred its conservative elegance, without going the whole way to a fuller, more radical redesign. The 2008 Jaguar XJ series sports a new look that’s put a controversial face on a vehicle that seemed underdesigned when it bowed in 2004. "The 2008 Jaguar XJ receives a major makeover with new front and rear fascia treatments and front fender-mounted 'power vents,'" while the back features "a chrome strip [that] spans the width of the trunk," reports Kelley Blue Book. The front-end treatment seems to be the most controversial bit of the restyling, with some comments suggesting that the bodywork below the front bumper appears to have been tacked onto the car after being swiped from a BMW M5. Automobile says the Jaguar XJ’s “interior and exterior designs are stuck in the past.” AutoWeek thinks “the facelift creates more road presence,” but “Jag appears to be compromising the car’s elegance in a bid to boost weak sales.” Cars.com more kindly says "a narrower front air dam draws visual continuity with the rounded grille." TheCarConnection.com’s team of experts thinks the XJ looks dowdy from some angles, and the new nose on the front of 2008 models doesn't improve matters at all. The single detail that improves the XJ's looks is the fender vent in metallic trim. Other styling details of the Jaguar XJ include a "new grille, new mirrors (with signal indicators), new wheel designs and new bumpers, along with a subtle rear spoiler," as noted by Edmunds. The various wheel options are handsome, if a bit bling in some cases. Elsewhere, the 2008 Jaguar XJ retains its "signature styling cues as the curvaceous hood, four round headlamps, and tapered rear end," says Kelley Blue Book. The familiar chrome cat pouncing from the front of the hood of the Jaguar XJ goes away for 2008, replaced by a grille-mounted emblem. However, the “leaper,” as it’s called, is still available as an option. "Burl walnut wood trim, chrome and supple leather are liberally strewn about" inside the Jaguar XJ, Edmunds says, but adds, "It would be nice if the XJ's cabin joined the 21st century." Kelley Blue Book notes, "The handsome dash incorporates three circular gauges," which are surrounded by a generous amount of the aforementioned burl wood in the 2008 Jaguar. And Cars.com points to the "newly sculpted front seatbacks," which also increase legroom for rear seat passengers. The 2008 Jaguar XJ's performance meets with resounding approval from reviewers across the Web. TheCarConnection.com did read some minor complaints about Jaguar’s unique J-gate shifter, but the gearbox’s performance was lauded. Cars.com calls the six-speed automatic "excellent." However, Car and Driver says, "It would be nice if the car would step off in first gear more often," rather than starting from a stop in second gear. The 2008 Jaguar XJ fares reasonably well at the gas pump for such a large, powerful four-door. EPA-estimated city/highway fuel economy is 16/25 mpg, according to Kelley Blue Book, which lists the supercharged models at 15/22 mpg. ConsumerGuide reports that in its testing, "XJ8s averaged 15-18.3 mpg, XJ8 L 18.4 in mostly highway driving," the "Vanden Plas models averaged 19.7-20.1 mpg" on the highway, the Super V8s "averaged 19.3-20.6 mpg," and all models require premium-grade gas. When it comes to handling, however, the Jaguar XJ receives almost unanimous praise. Car and Driver reports that the big Jaguar "wafts serenely down the road" and "dances over the road instead of clobbering it like the German competition." ConsumerGuide reports "good grip in turns with little cornering lean," and adds, "Steering is somewhat light but linear." 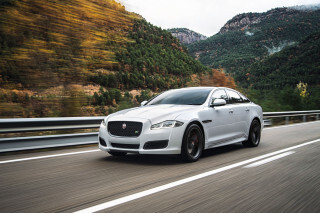 Edmunds praises the Jaguar XJ for its "confident handling, a plush ride and cat-quick performance," adding that the XJR includes "quicker steering" and "more aggressively tuned air suspension." Kelley Blue Book chimes in, stating that the 2008 Jaguar "is solid, secure and serene, with great higher-speed control and an appropriately smooth ride that's completely in character with this car's image." However, they add that the 20-inch wheels and aggressive performance tires found on the XJR and Super V8 models (XJ8 models get 18-inch wheels) "upgrade ultimate handling but also somewhat diminish the luxurious, soft ride of the base XJ." ConsumerGuide finds the four-wheel ventilated disc brakes "strong and sure." XJR and Super V8 models get bigger brakes with more stopping power to rein in their additional supercharged horses. TheCarConnection.com found words like "serene" and "stately" used in more than one review of the 2008 Jaguar XJ. Edmunds writes, "This car is, quite defiantly, not an Audi, BMW, Infiniti, Lexus or Mercedes." And maybe that's the whole point. The 2008 Jaguar XJ has its share of foibles, but it also has stellar materials and assembly quality. The 2008 Jaguar XJ upholds Jaguar’s reputation as a manufacturer of posh automobiles. With 16.4 cubic feet of storage capacity, the 2008 Jaguar has “plenty of usable trunk space” and the lid “opens wide on nonintruding hinges and has assisted soft-touch close” reports ConsumerGuide. But Edmunds notes that “trunk space could be deeper,” which might be a consequence of the full-size spare tire’s location beneath it. The Jaguar XJ is the marquee's flagship sedan, and the 2008 Jaguar contains all of the burl wood trim, luxurious leather, and gleaming chrome accents one would expect, along with the usual quirks that make it quintessentially British to some and endear it to fans of the marquee. However, to those less familiar with Jaguar, some of these quirks can be merely annoying. For example, Kelley Blue Book, in its mostly positive review, notes that "the dash-mounted ignition slot is placed fairly low, allowing dangling keys to brush annoyingly atop the driver's right leg." Edmunds praises the abundant wood, leather, and chrome, as well as "acoustic laminated glass,” but gives higher praise to form than function, adding, “In contrast to all the plush surroundings, some of the Jag's controls are confusing and have a cheap feel to their operation." ConsumerGuide notes, "Rear-entertainment-system controls are not intuitive, and DVDs load via an inconvenient trunk-mounted changer and only with the ignition engaged." Despite those drawbacks, Edmunds says, "Operating in virtual silence...the Jaguar XJ-Series sedans have a personality unique among high-end luxury sedans." Consumer Guide adds, "the cabin is impressively free of mechanical noise, but our testers did notice some wind rush and road rumble at highway speeds." The 2008 Jaguar XJ is an unknown quantity when it comes to crash test ratings, but it has a complete set of safety gear. The 2008 Jaguar XJ boasts some impressive safety features, but it has not yet been crash tested. Though it hasn’t been crashed by the National Highway Traffic Safety Administration (NHTSA) or the Insurance Institute for Highway Safety (IIHS), the 2008 Jaguar XJ has a complete list of standard safety gear. Cars.com says every XJ contains very sophisticated equipment: "Side impact bars, 4 door curb lights, illuminated entry, traction control, anti-skid system, 4-wheel anti-lock brakes (ABS), driver and passenger airbags, driver side impact airbags, passenger side impact airbags, curtain 1st and 2nd row overhead airbags, occupancy sensor, front and rear seatbelt pre-tensioners, ignition disable, panic alarm, security system, and low tire pressure warning." Although how much safer the "4 door curb lights" make the occupants of a Jaguar XJ is debatable, airbag technology has improved by leaps and bounds since it was first introduced. As Edmunds observes, the 2008 Jaguar's airbag system "monitors the positions and weight of the front seat passengers to determine how and when to deploy the various airbags." The sleek shape of the 2008 Jaguar XJ has its drawbacks. “Visibility to the rear is compromised by a tall trunklid," writes ConsumerGuide. Of course, many of today’s luxury cars include front and rear obstacle sensors as standard equipment, and the Jaguar XJ is no exception. However, ConsumerGuide also reports, “The front and rear obstacle detection system was overly sensitive” on one Jaguar XJ test car. As with many other cars, though, the 2008 Jaguar allows its driver to disable the system if an annoying false alarm persists. The 2008 Jaguar XJ mates old-style elegance with cutting-edge technology. The technology present in modern luxury cars is truly stunning. The fact that most of it is included as standard equipment on the 2008 Jaguar XJ sweetens an already enticing package. TheCarConnection.com observes that the 2008 Jaguar XJ bristles with electronics and other niceties, such as "air conditioning with dual-zone automatic climate controls, power tilt/telescopic wood/leather-wrapped steering wheel with radio controls, heated front and rear seats, 16-way power front bucket seats with lumbar adjustment, memory system (driver seat, mirrors, steering wheel, pedals), heated power mirrors with automatic day/night [dimming], universal garage door opener, rain-sensing variable-intermittent wipers, automatic xenon headlights with washers, theft-deterrent system, computer-controlled self-leveling suspension, and alloy wheels" as noted by ConsumerGuide. And Edmunds points out that the Bluetooth system in the 2008 Jaguar "can recognize five different phones." The higher-range Jaguar XJ variants come with even more cool stuff. Kelley Blue Book reports that of the 2008 Jaguar XJ trims, the "Vanden Plas, XJR and Super V8 offer twin rear-seat DVD monitors built into the backs of the front-seat headrests" and "The Super V8's power rear seat adjusts for the ultimate in chauffeured luxury." 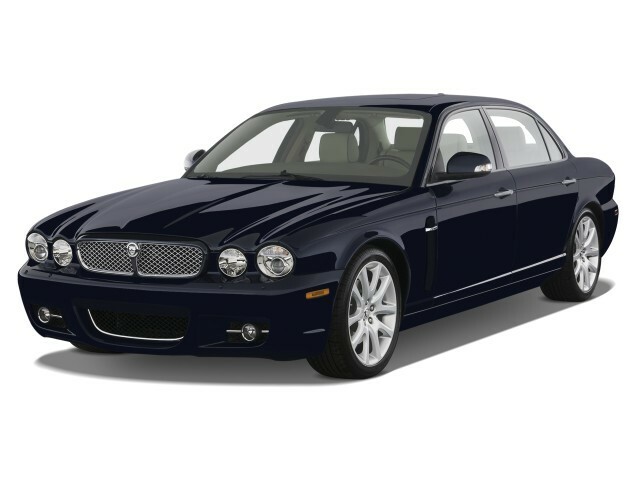 And Cars.com points to an earlier, fully loaded Jaguar XJ Super V8 sedan, citing said adjustable rear seat, as well as "navigation system, power-folding side mirrors and folding tables for the backseat" and advises readers to "expect similar equipment for 2008." Cars.com also lists optional equipment available on the 2008 Jaguar as including three-stage, actively heated and cooled front seats with perforated seating surfaces; a heated wood and leather steering wheel; Sirius Satellite Radio and navigation package; and an Alpine 320-Watt Sound System with AM/FM/CD, which includes 12 speakers and is pre-wired for a CD changer.